Keep a smile on your face.You don’t want to drive away the few customers that are there by looking unhappy. As hard as it may seem, keep a positive attitude. Even if you don’t believe in the theory that positive thoughts attract positive experiences, consider how you’d rather feel all day; if traffic is slow and there’s nothing you can do about it, do you want to have a slow day and feel crappy or have a slow day and feel good? The mind mimics the body to fake a smile until you’re feeling better. Make the most of each customer. At least you’ll have ample time to spend with each person. Take your time to explain how you make your pieces, explain other services you may offer and wrap each sold item with care. Get to know your customers too. You never know who may own a shop that carries handmade goods or knows someone who may be a good connection for you. Get to know the other vendors. You’ll have some free time to walk around and chat with other sellers at the event and get to know people who share the same interests as you. 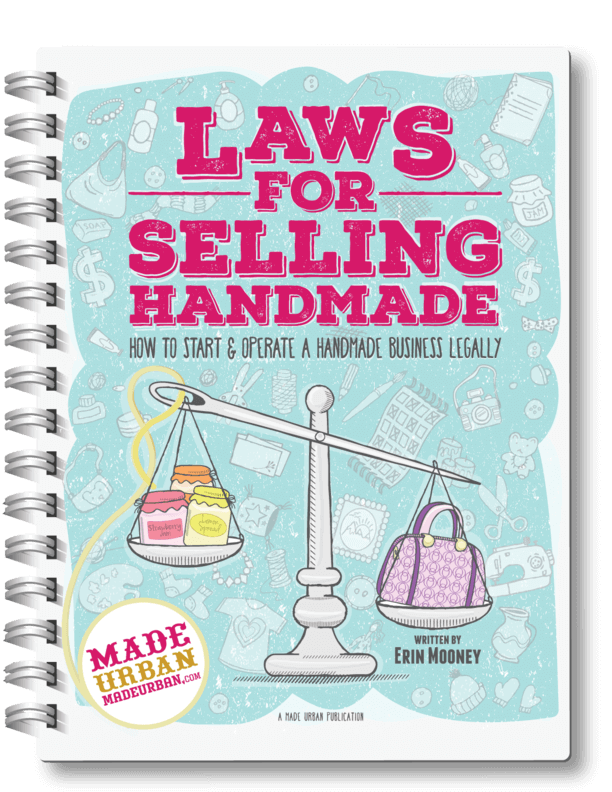 There may be an opportunity to work with another vendor in the future, learn about successful craft shows they’ve been a part of or share some tips on running your own business. Get some work done. 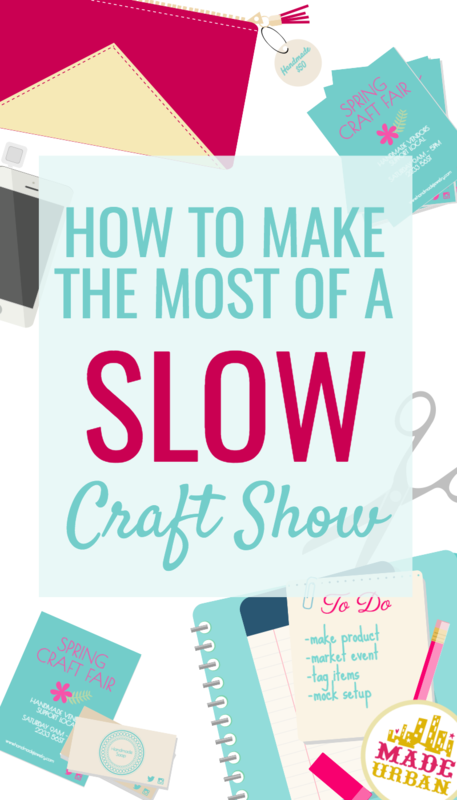 If you’ve followed our Craft Show Checklist, hopefully you’ve packed something to do in case of slow times. It may be an attraction for some people to stop and see what you’re making. Pull out your yarn and needles or jewelry supplies and work on a project to pass the time but be sure to stop when someone comes to your table. If you can’t bring your craft to the show, consider working on an article for your blog or working on a marketing plan for the coming year. Pen and paper is all you need for that. Take photos. 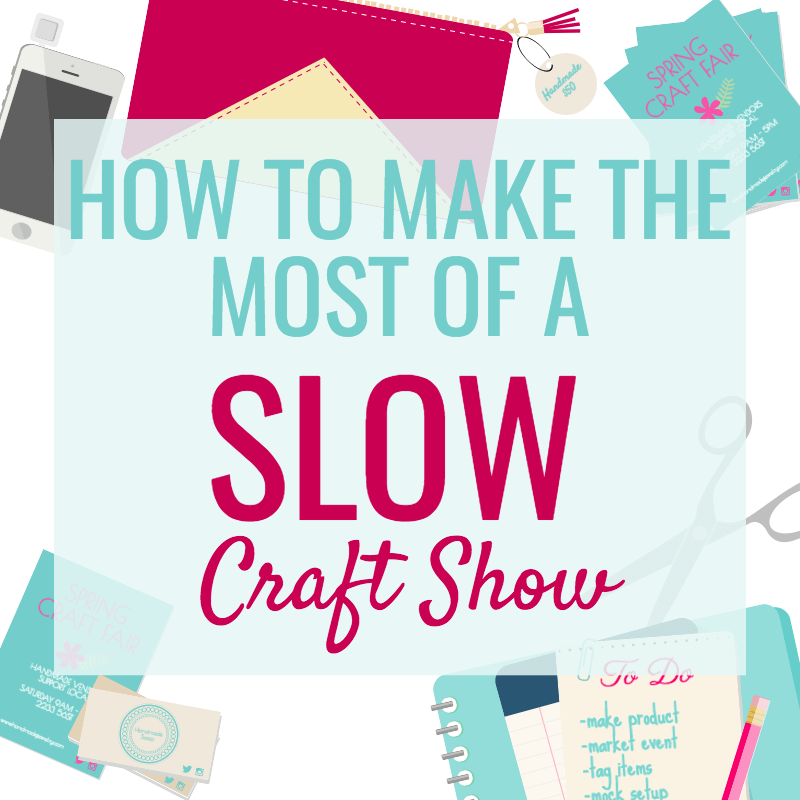 At the best of craft shows, it’s usually a mad dash to get set up and settled before customers come streaming in. If the lighting is good, take advantage of having your items set up and take some booth and product photos for your website or online store. Share them on Facebook and Twitter too; it may reach the right person who’s in the area or looking for something to do that day. Good advice. I was at a show recently that was pretty slow…no buyers. I knew it was going to be, so I worked on a project that would have taken at least three movies at home. Lol! And, as for talking to vendors, the woman at the next booth was also a hairdresser. Been needing a new one. I have already had an appointment and one of the best cuts ever!